We are committed to providing CertaUPS solutions through our reseller partners and distribution channels. Please get in touch for a bespoke quote. 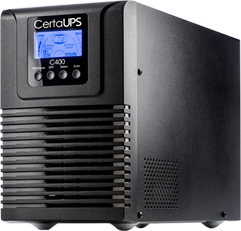 CertaUPS is an internationally acclaimed Uninterruptible Power Supply (UPS) manufacturer. It is committed to supporting resellers with industry leading UPS system support and warranties, which it offers directly through its global network of partners. We encourage all UK resellers to buy directly from one of our premier UK distributor partners Northamber PLC (IT), Trust Distribution Ltd (Telecoms), Power Control Ltd (Solutions). For overseas enquiries, CertaUPS has broad network of international partners who all specialise in delivering leading edge power protection solutions. CertaUPS will also work directly with businesses should that be the preferred option. Please select one of our partners below to obtain a quote. CertaUPS single phase backup power solutions have been designed exclusively to deliver industry leading resilience. Known worldwide for their cutting edge technology and superior component structure, single phase CertaUPS power protection systems deliver on reliability, flexibility and affordability. They are among the most highly sought after uninterruptible power supply solutions across all industry sectors including healthcare, councils, IT and data centres. Designed and engineered to the highest quality and performance standards CertaUPS three phase backup power systems deliver leading edge efficiency and a considerably smaller footprint than other comparable three-phase uninterruptible power supply solutions on the market. The Certhree-phase phase power protection UPS series includes up to the minute technology to meet the present day demands as well as those of the future. Sign up to the CertaUPS newsletter to keep up to date with the latest company and product news.